If you are not satisfied with the default choice of print driver you can change it. If you want to use a print driver that is not in the Printix driver store, then you can add the print driver yourself, by making a printer use it on the Windows or macOS edition in question. On the Print queue properties page select the Drivers tab. Identify the System. 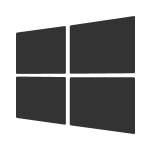 Example: Windows 10 ×64. On the Print drivers page Search for print driver. Select Back to return to the Print queue properties page. It may take up to 10 minutes before an uploaded print driver is available on the Print drivers page. If the print driver does not match the printer’s capabilities (PCL, PCLXL, POSTSCRIPT), you will either not get any print at all or lots of pages with weird looking characters. Right-click This PC and select Properties. Look at System type to see if you are running 64-bit Operating System or 32-bit Operating System. Right-select printer and select Printer properties. 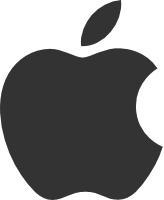 Select Apple menu , System Preferences…, then select Printers & Scanners. On the menu bar select the Printer menu and select Print Test Page. After installation of Printix Client on the server, Printix Client will upload print drivers. Print drivers that are installed but not used by a print queue, are not uploaded. Print queues are not converted on servers. Only x64 print drivers are uploaded from the print server. If you need x32 print drivers these would need to be uploaded from a computer running the corresponding Windows 32-bit Operating System. As Printix Client is deployed on computers that run Windows 32-bit Operating System and macOS, Printix Client will upload these print drivers. Print drivers that are installed but not used by a print queue, are not uploaded.